Henning then approached NBC with the idea of producing a television special. Henning spent the next eight months reworking his stage act for TV and working on a recreation of Houdini’s famous water-torture escape act. 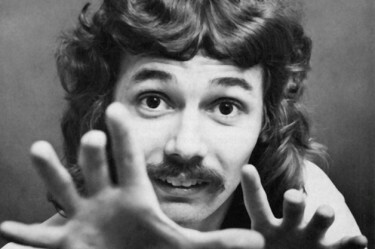 More than 50 million viewers tuned in for the December 1975 broadcast of Doug Henning’s World of Magic, hosted by Bill Cosby. Henning successfully performed the water torture illusion, although he did not break Houdini’s time record. After several years of stage and TV appearances, Henning retired from performing and focused his energy on Transcendental Meditation. In the early 90’s, he revealed a plan to develop a large, mystical theme park, “Maharishi Veda Land” in Niagara Falls, Ontario. The park never materialized. Henning died in 2000 at the age of 52 after a brief battle with liver cancer.